PYO is a continuation of the very successful Penrith Strings program, in which students for the last three years have received teaching and coaching from the Australian Chamber Orchestra and the Penrith Symphony Orchestra in four projects throughout the year. Each project consists of three consecutive Sundays. 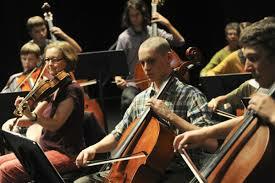 The students get to play with members of the ACO and at concerts with PSO at the Joan Sutherland Centre. The dates for 2018 are in the attached info pack. The deadline for applications is 22 September. At the moment, they still have some vacancies for woodwind and brass, but string players are also welcome to apply.